Mildred Roberts is the winner of the “Most Grandchildren” gift basket. She has 26 grandchildren, 64 (plus one on the way) great-grandchildren and 20 (plus one of the way) great-great-grandchildren! 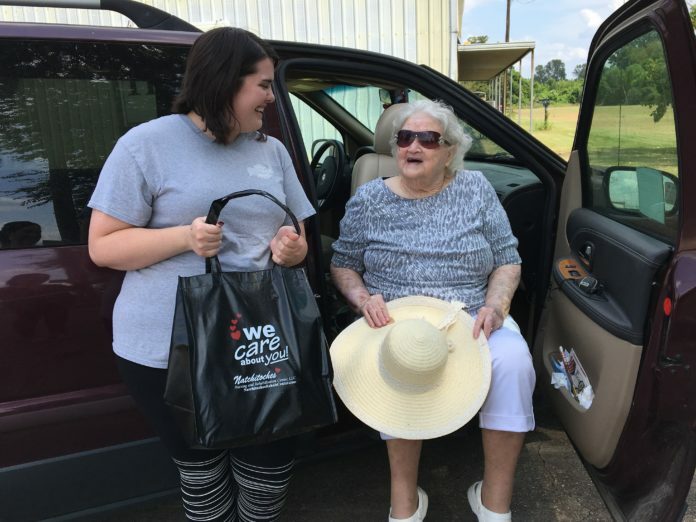 Masie Ingram is the winner of the “Longest Living Grandparent” gift basket. Masie will be 104-years-old on Oct. 15! We will be mailing out the gift basket to Masie Ingram. Congratulations! Shoutout to the local businesses that sponsored the contest, including Razzle Dazzle, Chili’s, Natchitoches Nursing and Rehabilitation Center, Cane River Gallery, Front Street Marketplace, Bathhouse Soapery, Gifts Galore, Merci Beaucoup, Dickens and Co. and Natchitoches Arts Council! Thank you and be on the lookout for any upcoming Natchitoches Times photo competitions!